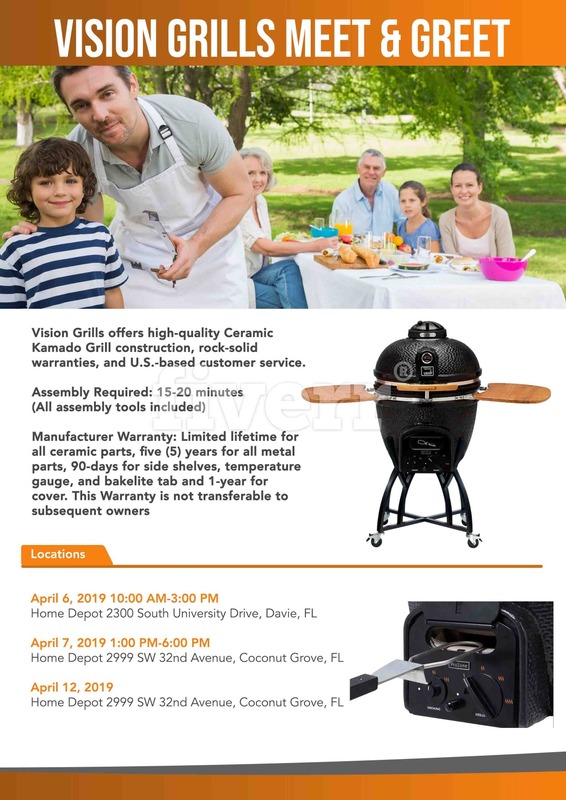 Vision Grills offers high-quality Ceramic Kamado Gril construction, rock-solid warranties and US based customer service. Manufacturer Warranty: Limited lifetime for all ceramic parts, five(5) years for all metal parts, 90-days for side shelves, temperature gauge, and bakelite tab and 1-year for cover. This Warranty is not transferable to subsequent owners.